After I downloaded it and finally finished listening to most of the songs today all I got to say is: weird. This is the newest mixtape from Brooklyn hip-hop group, Das Racist, an alternative, very different hip-hop music style they have. Credit to DJ Booth. 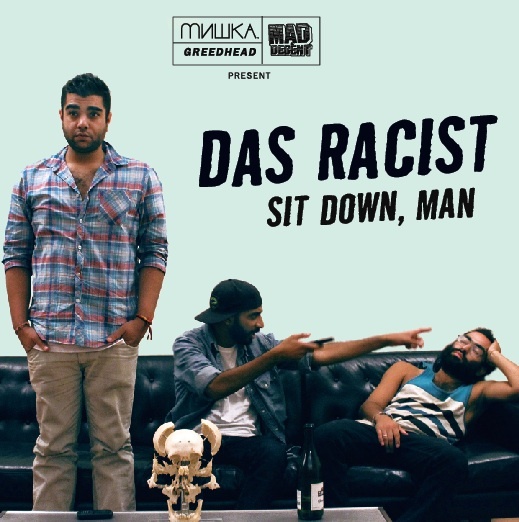 If MF Doom and Pharell had a baby, Das Racist would be it, but even then, that’s not enough to describe the uniqueness of Das Racist. Anyways I’m still on the fence with this, it’s so different most of you will don’t know how to feel about it, either love it or hate it probably.